The South Arkansas Children’s Coalition is an independent nonprofit serving Union, Ouachita, Calhoun, and Columbia Counties. Originally formed in 1996 as 13th Judicial District CASA, the program provided advocacy services to children in foster care in all six counties of the 13th Judicial District. In 2009 the board of directors along with the Arkansas State CASA Association decided to divide the program into two separate agencies; 13th South CASA covered Union and Columbia Counties while 13th North CASA covered the other four counties in the district. It became apparent there was a lack of coordinated services for victims of child abuse so in 2016 program administration began working with local and state officials to bring a Children’s Advocacy Center (CAC) to Union County. The program changed its name to South Arkansas Children’s Coalition, which oversees both child welfare programs. The CAC opened its doors in January 2017 and served 80 children that first year. The two programs are separate agencies but both work to provide coordinated guidance, treatment and support for child victims of abuse and neglect, from the initial investigation of abuse to their placement in a safe, permanent home. The Children's Advocacy Center (CAC) coordinates investigative and treatment efforts involving law enforcement, child protective services, prosecution, medical examinations, and mental health services. These services are coordinated through a community-based facility to protect children from further trauma and to provide them with a foundation for healing from their abuse. Court Appointed Special Advocates (CASA) of the 13th South Judicial District recruits and trains local advocates to stand up for abused and neglected children, represent their best interests in court, and help them find safe, permanent homes. 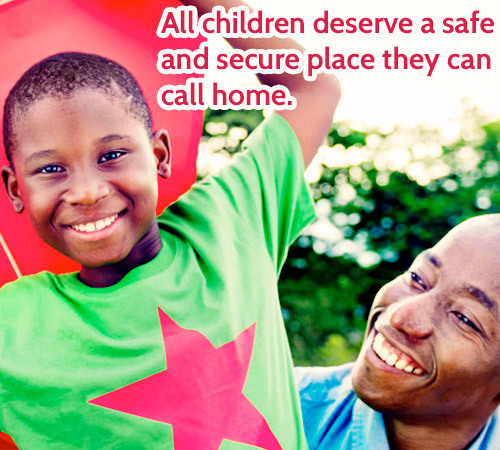 Both programs work to protect children from further harm and restore hope to their lives.